As the new year gets started, now is a great time to perform a thorough self-wellness check. Our personal wellness, or being healthy in body and mind, crosses several dimensions that all intertwine. And when we actively choose to examine each of these areas, and find meaningful ways to improve them, only then are we able to achieve our maximum potential. Meditation, yoga, and swimming: These practices are proven to improve our health, happiness, work experience, and relationships. These activities enhance our physical and mental health so we’re better able to manage health setbacks like depression and anxiety. They can also help in addiction recovery. Volunteering: According to the Corporation for National and Community Service, volunteering has many benefits, like improving the lives of others, strengthening our communities, connecting to one another, increased problem-solving skills, and transforming our own lives. Practicing gratitude: When you commit to being grateful, you’re committing to being happy. Use a gratitude journal to get started. Reading for fun and for learning. Having a healthy debate and listening to issues from both sides. Join a club or team: Whether it’s a book club or an organized adult volleyball league, getting out and socializing is important for your well-being. According to Angela K. Troyer, Ph.D. and clinical psychologist, when you’re socializing, you may live longer, enjoy better physical and mental health, and reduce your risk of dementia. Reconnect with an old friend: Reaching out to an old friend that you’ve lost touch with can help heal the heavy emotions that linger from unresolved conflict. Be an active listener: According to research, we remember between 25-50 percent of what we hear, and that’s because we’re not actively engaged in listening. Learning this skill will help improve your relationships. Find time for a hobby: Aside from the great fun of enjoying a hobby like golf, photography, or sewing, doing something you love has great physical benefits according to research. You may see a leaner waistline, lower blood pressure, and decreased depression. There’s also plenty of other non-physical benefits, too. Finding the right career: Nothing is more treacherous than a drive to work each day to do something you don’t enjoy. Whether you’re just looking for a career or mid-career, you can regroup and find something you enjoy. Try various career quizzes to see where you might fit best. Make exercise part of your daily routine. By committing to a daily fitness routine, you won’t just be committing to a leaner and healthier you, you’ll also be improving your mental well-being. According to Dr. Stephen Kraus, Ph.D., exercise improves depression, anxiety, and stress. Eat more fruits and vegetables. Most of us aren’t getting enough of the rich nutrients that come with eating fruits and vegetables. Start by trying to make sure half of your plate is filled with one or both. Understand your family health history. Knowing this information is critical for proper healthcare. 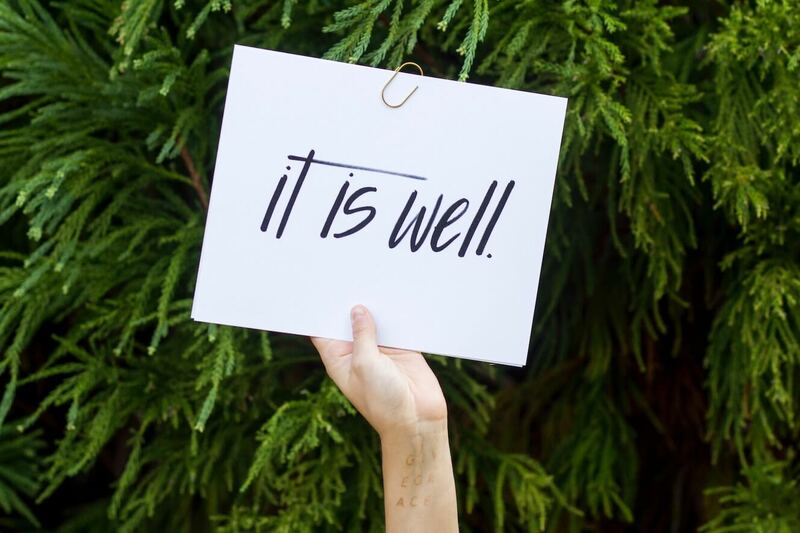 Wellness doesn’t just happen; instead, it’s a goal we each have to pursue. By choosing to focus in all of these areas, if only a little, you’ll be working toward a healthier and happier you. Try incorporating at least one idea from each dimension as the new year gets started, and you’ll be feeling better in no time.